Largemouth bass are a year round species in Florida, but the best months to target them in our region of the St Johns River are January thru May which is their spawning season. During this timeframe it is not uncommon to catch double digit numbers of largemouth bass during periods of pre and post spawning feeding. 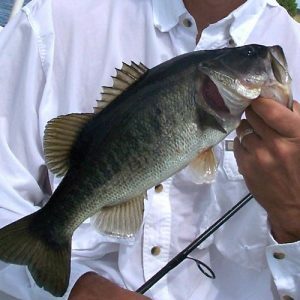 On some occasions if your timing is right you can catch up to 50 bass without moving more than 50 feet. Only light tackle spinning gear a fly tackle are provided and anglers will fish with either live bait or lures depending on their skill levels and desires. Those anglers wishing to fish with conventional bait casting tackle will need to provide their own gear.